[www.inewsguyana.com] – Alliance for Change (AFC) Member of Parliament Moses Nagamootoo is accusing the Peoples Progressive Party Civic (PPP/C) Administration – of which he was once a member- of engaging in a dangerous and anti-nationalistic campaign under the guise of celebrating its anniversary. The PPP will celebrate 21 years in office come October 5, having returned to office on October 5, 1992. “The PPP continues to use gutter politics to tarnish the AFC along with other opposition forces in a racist way,” Nagamootoo told reporters during the party’s weekly press briefing on Wednesday October 2. 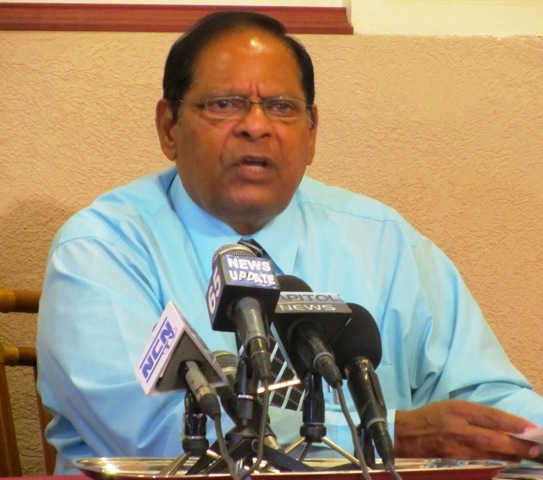 Nagamootoo believes this undertaking by the PPP is a desperate act having lost a significant among of its Indo-Guyanese supporters and as such has embarked on a racist campaign to give false hope to itself. 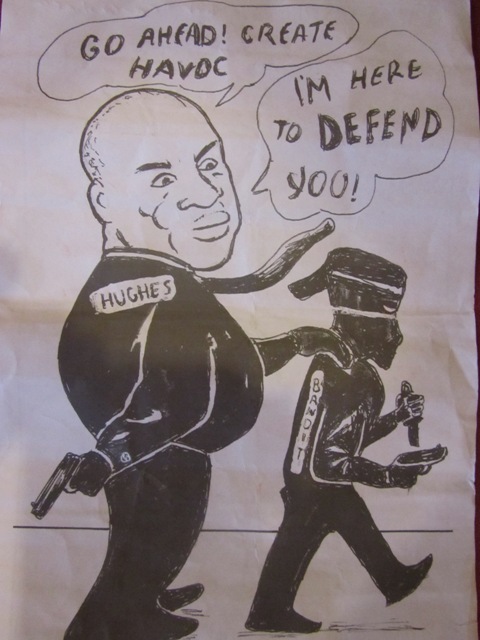 A cartoon allegedly circulated by the PPP at its recently concluded Central Committee Outreach/Meeting in Enmore. This is according to the AFC. He warned the PPP/C Government to be wary of its actions least a vote of no-confidence is brought before the administration. In April this year Former President Bharrat Jagdeo had publicly proclaimed that there appears to be a resurgence of some form of prejudice against Guyanese of East Indian descent, primarily from opposition political parties, which he said are accusing the People’s Progressive Party/ Civic of showing favoritism towards this section of the population. “What bothers me today is that, in the new politics of Guyana, there seems to be a rebirth of some of these same feelings,” Jagdeo had said. This comment garnered the support of several Government Officials including President Donald Ramotar himself. It also sparked widespread debate surrounding the comment.